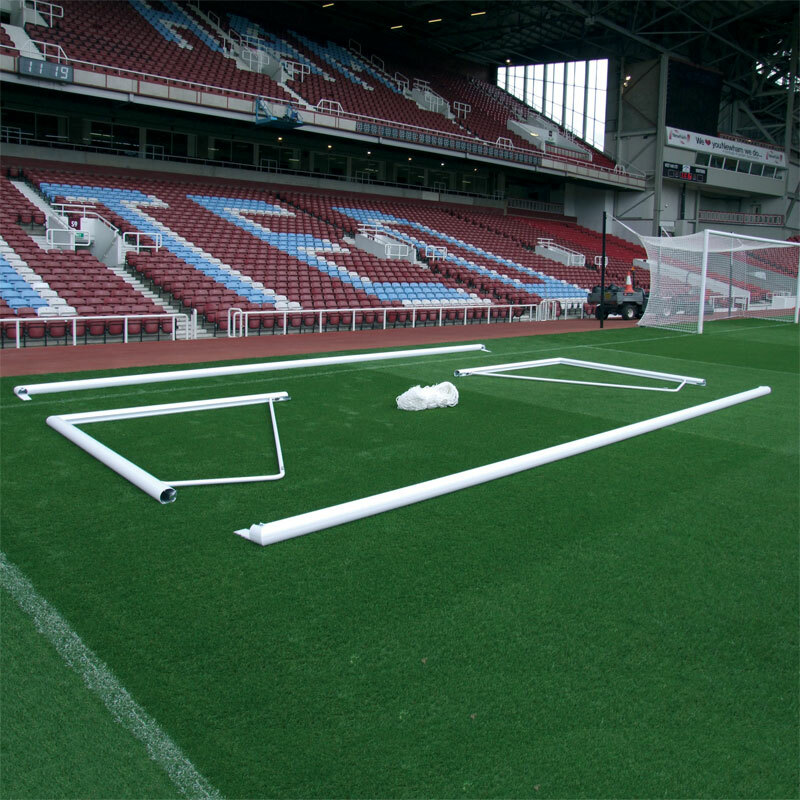 Harrod Sport ® uniquely designed 3G Demountable Football Portagoals 24ft x 8ft is the perfect pre-match solution for professional clubs. 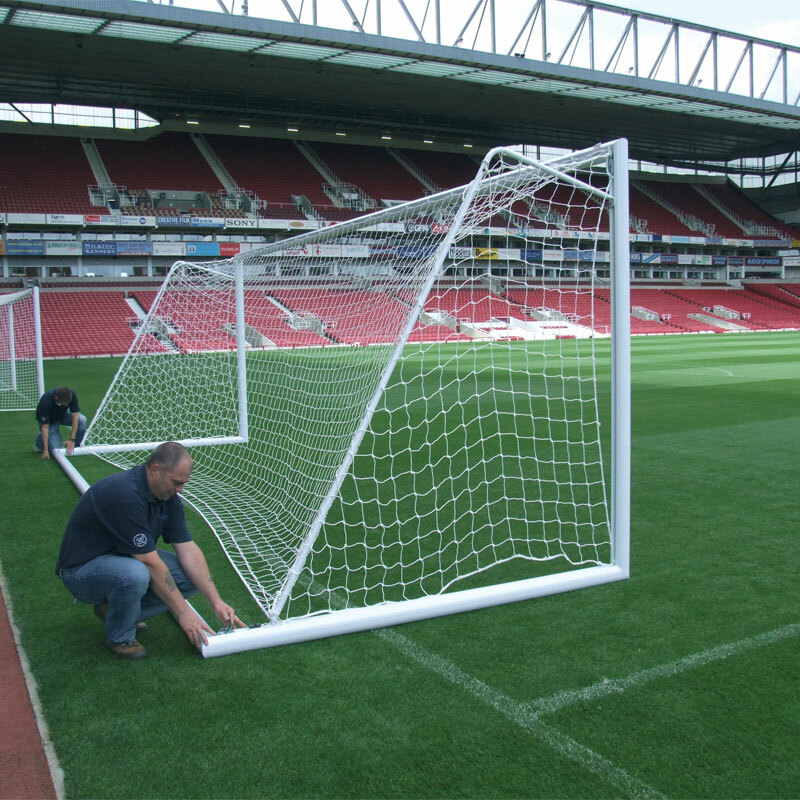 Each goal can be assembled in less than 5 minutes by two people. Detachable crossbar and backbar with quick release latch mechanism means the goal can be assembled without tools. Designed in four sections for easy storage. 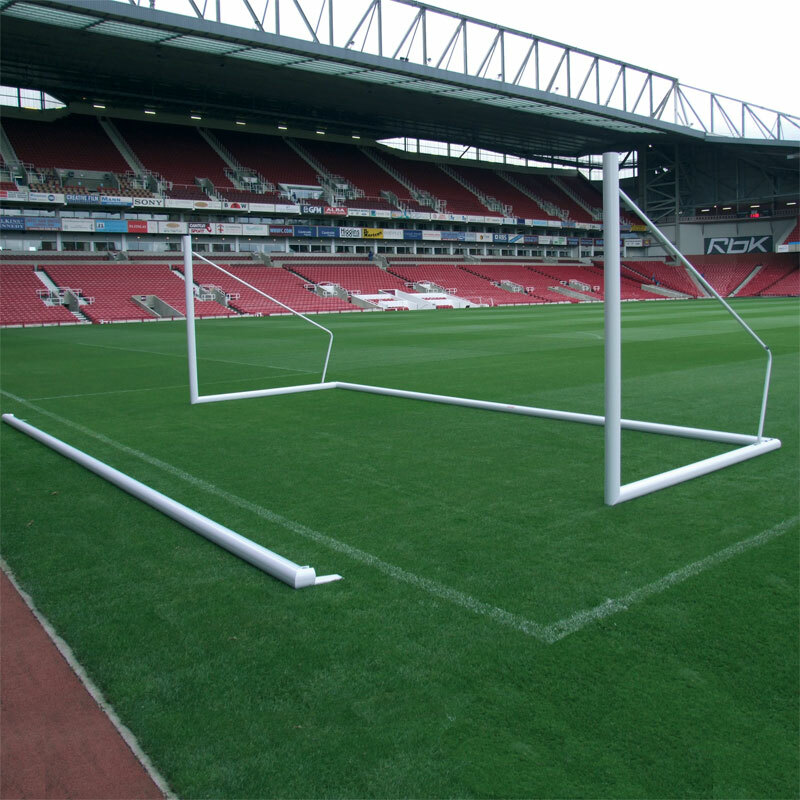 2 x Freestanding Aluminium Goal Posts 24ft x 8ft. 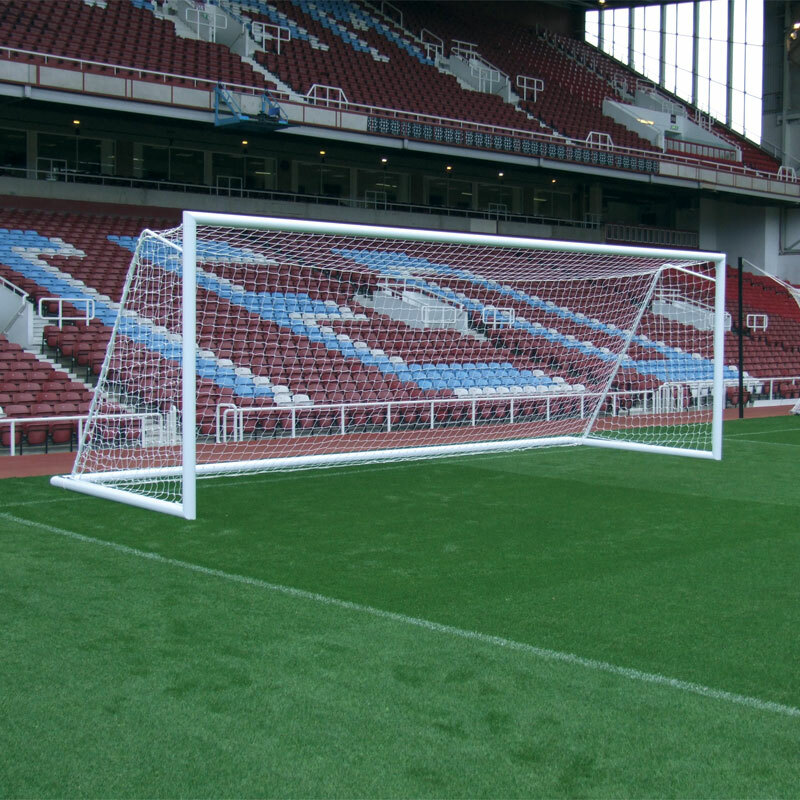 1 x Freestanding Aluminium Goal Post 24ft x 8ft. 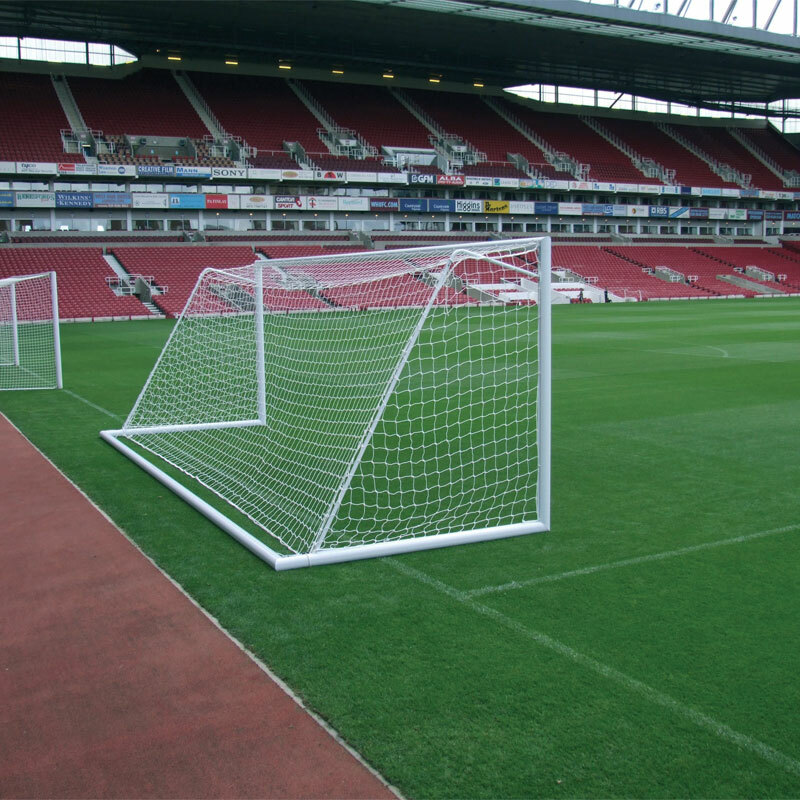 Uprights, crossbars, sidebars and backbars made from 102mm x 112mm x 2.2mm thick reinforced aluminium. Full length back tubes made from galvanised steel. Quick and secure rope clamps for top and bottom headlines. 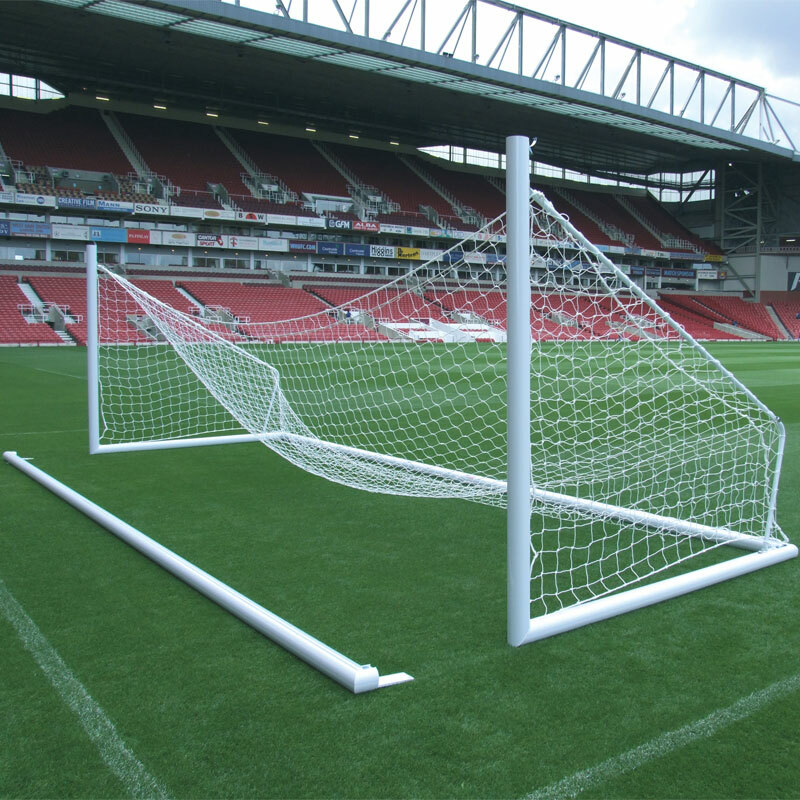 Each goal can be assembled in less than 5 minutes by two people. Detachable crossbar and backbar with quick release latch. Complete with lock-on synthetic net hooks and 'U' Peg anchors. 7.32m x 2.44m (24’ x 8’) - 134kg per pair, 67kg per single.